Sam Smith went straight in at Number 1 on the Official Singles Chart on Sunday with Stay With Me. The track is the third single to be lifted from his debut album, In The Lonely Hour, which is released tomorrow (May 26), and the third the 22-year-old's has appeared on to reach Number 1 in the UK. Sam scored his first UK chart topper a year ago this week, featuring on Naughty Boy's La La La. The track ended Daft Punk's four-week run at Number 1 with Get Lucky. 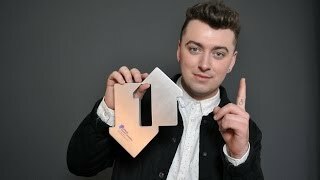 After winning the Critics' Choice award at this year's BRITs, Sam's follow-up single, Money On My Mind, also debuted at Number 1. The official website of Sam Smith. ... Sign up to Sam’s mailing list below. See Sam Smith Live. ENTER SITE. Bastille - Pompeii the UK's most streamed track of all time!